My first post in this series covered consulting fit interviews and the biggest mistake you can make. At the end of every consulting interview, the consultant will typically offer feedback on your performance and provide an opportunity to ask follow-up questions. Most applicants do not use this time effectively – asking follow-up questions allows you to learn more about the job, and strengthen your candidacy too. Never ask your consultant interviewer a question that can be answered by a recruiter. Would you mind telling me about your background, and how you ended up as an Accenture consultant? I’d be interested to hear what your most challenging case has been thus far in your BCG career. What do you think are the biggest misperceptions that applicants have about consulting? These questions are great because they demonstrate your interest in the job, they’re interesting for the interviewer to answer, and you’ll gain some wisdom from the responses. When you think about my interview performance, what would you suggest are the 2 or 3 things I can do to improve? Even if feedback is provided, most consultant interviewers won’t offer concrete suggestions to improve. This is a great question particularly for first-round interviews, and demonstrates a focus on personal development that all consultants respect. Why is this question so good? Because it reinforces your life story – and the best applicants have distinct life stories. Because it demonstrates an interest beyond “any ‘ol job in management consulting” to a specific industry, geography, or function. 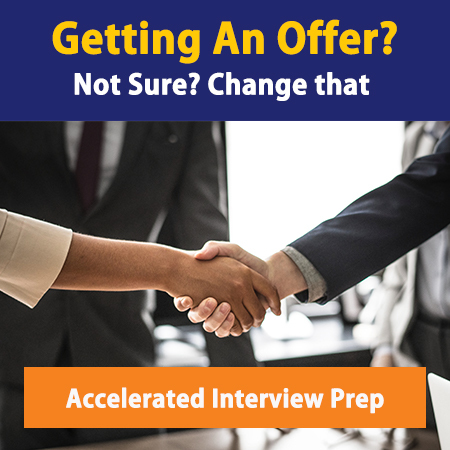 Finally, because it can lead to follow-up conversations with your interviewer, and if your interviewer is not familiar with the topic, he/she may recommend additional contacts that you can reach out to! Want to know all the nuts-and-bolts of the consulting interview? Check out the The Consulting Bootcamp Combo+ – the top global resource on consulting interviews. Full of fit and experiential interview questions, sizing questions, mini-case studies, and full-on case studies, our courses teach you how to land and ace consulting interviews and offers. Click here to buy it now and start landing consulting jobs!